Most calls we receive are either road casualties or rabbits suffering from myxomatosis, a man-made disease which was deliberately released back in the 1950s. 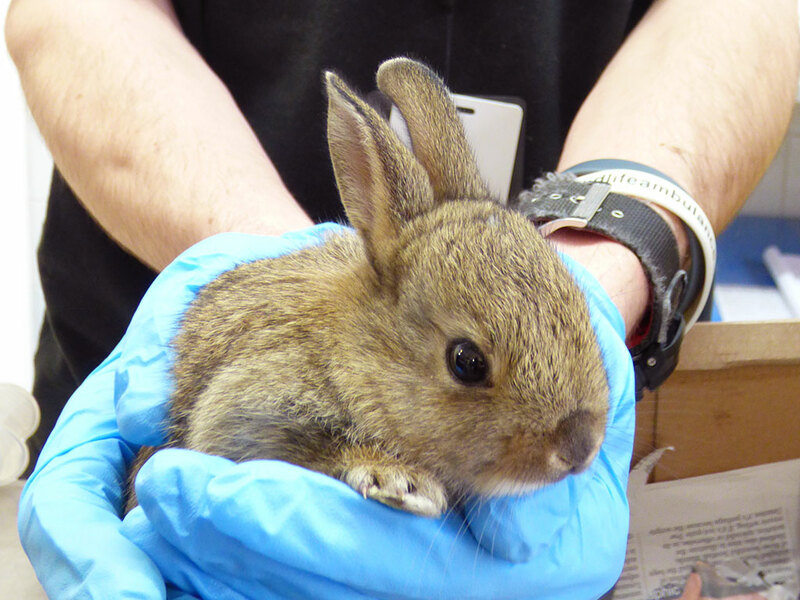 East Sussex WRAS unfortunately cannot deal with domestic rabbits or the capture of escaped pet rabbits. Although many people do not like wild rabbits, they are an important part of nature’s food chain and can conserve chalk grassland which would otherwise turn to forest if left. What damage rabbits cause can fairly easily be prevented with the use of rabbit proof fencing and tree guards. Every year millions of rabbits are caused to suffer and targeted by humans using air guns, dogs, snares, ferrets and gassing. If you do not want rabbits in your garden it is best to try and keep them out by using rabbit proof fencing, which needs to be dug into the ground for at least 12 inches. Some gardeners put fencing up round their vegetable plots to help stop rabbits helping themselves. If you find a myxomatosis rabbit or one hit on the road then please ring for advice. It can be very difficult to catch wild rabbits when they are injured and it is important to take your time and care when attempting to catch one. The last thing you want is for the rabbit to run out into the road and be hit by a car. Even those which are blind with myxomatosis can feel the vibration of you walking towards them. A net is very important when trying to catch rabbits. Sometimes it is best to encourage a myxomatosis rabbit towards someone standing still with a net so they can’t see or feel their presence. Road casualty rabbits are very difficult to catch if lively and again approaching from two different angles is normally best, but not always successful. Please take care whilst trying to catch any animal on a road side - your safety is paramount.